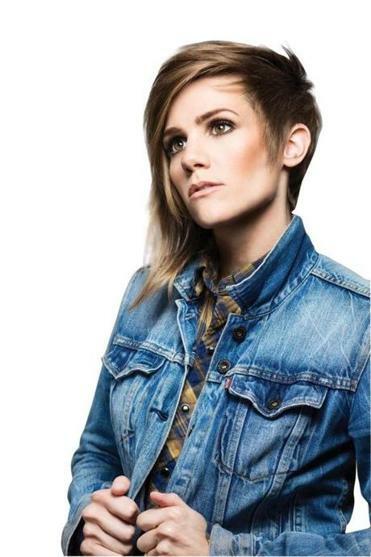 Cameron Esposito could probably use a break. But she won’t be taking one for a while. It’s not her style. She’s currently hosting two podcasts and is bouncing around the country performing stand-up dates, including Thursday’s show at Johnny D’s. She’s working on a book about coming out, developing a one-hour stand-up special and a TV show, and filming a role in a new indie movie called “Operator.” She has put her biweekly column for The Onion’s A.V. Club on hiatus for the summer, but that’s about as much breathing room as she’ll give herself. Esposito first got the bug to do comedy as an English and theology student at Boston College, working with the long-running improv troupe My Mother’s Fleabag. Amy Poehler, who was then at the beginning of her tenure on “Saturday Night Live,” is an alumni of the group, which inspired Esposito to think of comedy as a career. Even then, she had a hard time defining a normal schedule. When she graduated, Esposito went to ImprovBoston and eventually got a job working with the Main Stage group at Improv Asylum, even though she also had a day job at a high school. It turned out to be a bit too much to handle, and she eventually left Improv Asylum. “I had no idea what an adult schedule was supposed to look like, and I was working 80 hours a week,” she says.